Olá Meninas! Hoje mostro-vos o look que usei no Natal. Fui à Springfield conhecer a nova coleção e não resisti. 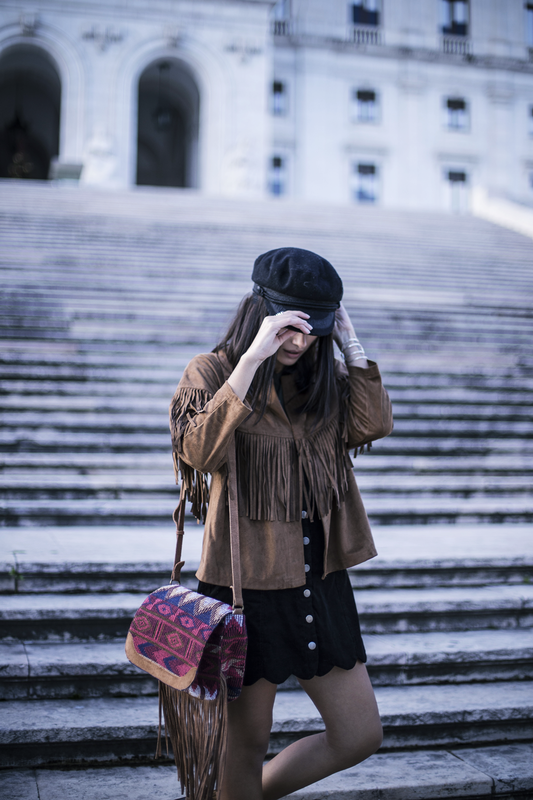 Adorei a vibe descontraída da coleção, com inspiração nos anos 70, muito boho e com padrões étnicos. Adorei!! A partir de amanhã começo a mostrar-vos looks de passagem de ano, o que acham? Digam-me! Hey girls! Today I show you the look I wore on Christmas day. I went to Springfield to get to know the new collection better, and I couldn't resist. 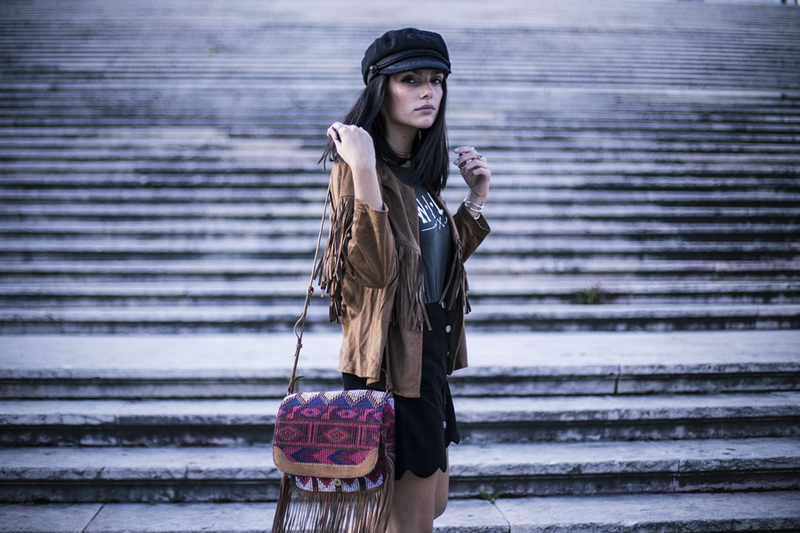 I loved the vibe of the whole collection, Very 70's inspired, boho and with ethnic patterns. I loved it! Tomorrow I will start to shae with you some cool New Year's Eve looks. What do you think? Let me know? nice skirt and jacket, love it!! 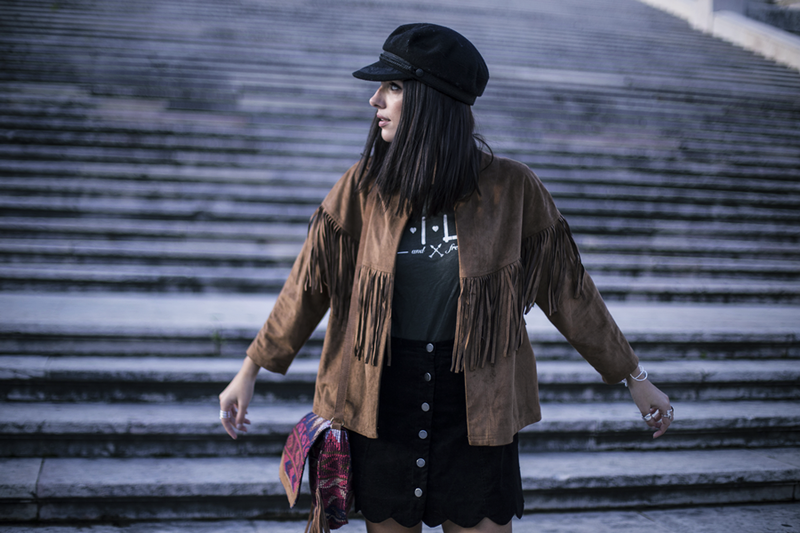 Love the suede fringed jacket with the button up skirt and the accessories are great too! Gorgeous outfit! 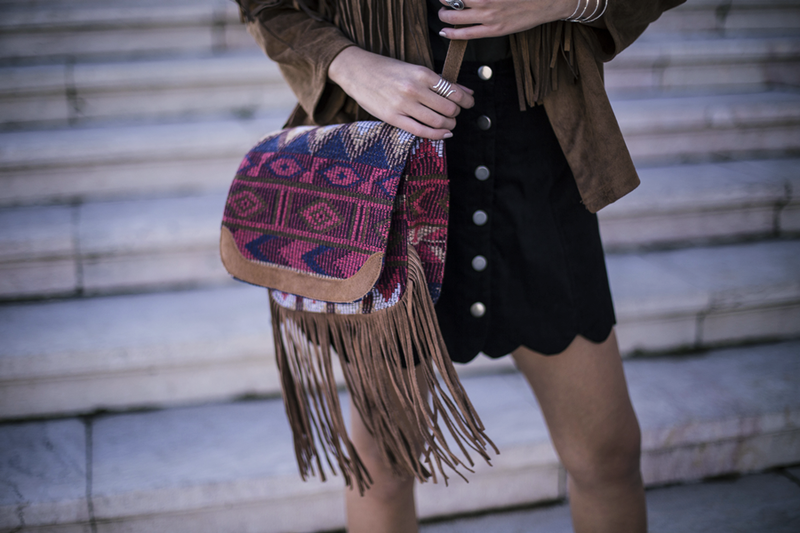 That jacket is just SO amazing, I love the fringe details!